“We’ll sign who we want!” This is what declared Nasser Al- Khelaifi, PSG’s Quatari President, after the club’s UEFA ban for no respect of Platini’s fair-play rules. A few weeks later, the Parisians signed Chelsea’s David Luiz for the extravagant sum of 50M euros! 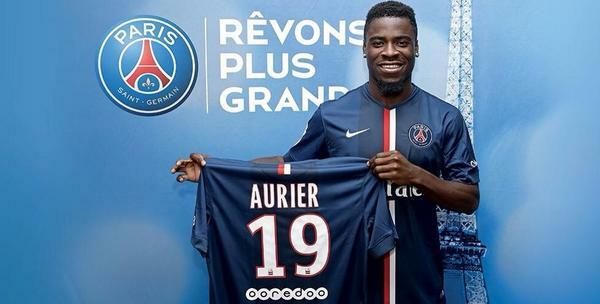 It seems that he won’t be the only one; other(very expensive ) names are on the ITK’s lists, but currently the club has only signed on loan a young gem from Ivory Coast, Serge Aurier, 21 and already vice-captain in his former club, Toulouse FC. The new Parisian made his classes at the well rated Football Academy of Lens, joined Toulouse in 2012 and very soon became the best right back of the Ligue, scored 6 + same number of assists and gained a place in the 2013-2014 season’s best team. His teammate of the National side, Didier Drogba praised the young one, who shined with two assists during the World Cup in Brazil:”Serge showed an extraordinary energy, he said and he’s gifted with an enormous potential.” So it seems that 10M euros buying option, is a good affair for PSG but also a peace sign to UEFA. This new contract, caused the almost immediate signing of Chistophe Jallet to Olympique Lyonnais. The player has been part of the “old guard” Parisienne, since 2009 but with Aurier’s arrival he became third choice and going to a good club as Lyon, was the perfect solution. PSG’s ambition to sign Real Madrid’s Angel di Maria is almost impossible to make; the player’s pricetag is 60M euros and UEFA rules prevent the sale. The Parisians could sell Cavani, Lucas, Marquinho or Veratti, but Nasser Al- Khelaifi believes that these four players are the future of Paris and doesn’t want to sell them. A loan+ buy option seems the right solution ; if it’s the case, PSG should hurry for Manchester United is waiting on the side lines! Atletico Madrid boss, Diego Simeone, likes Javier Pastore, and began negotiating with the Parisian club. Also, will Marquinho’s win the battle versus PSG and leave Paris for Barcelona? We’ll keep you posted in another “Parisian signings and rumors”. ‹ Paris st Germain: the end of the road for Laurent Blanc ?